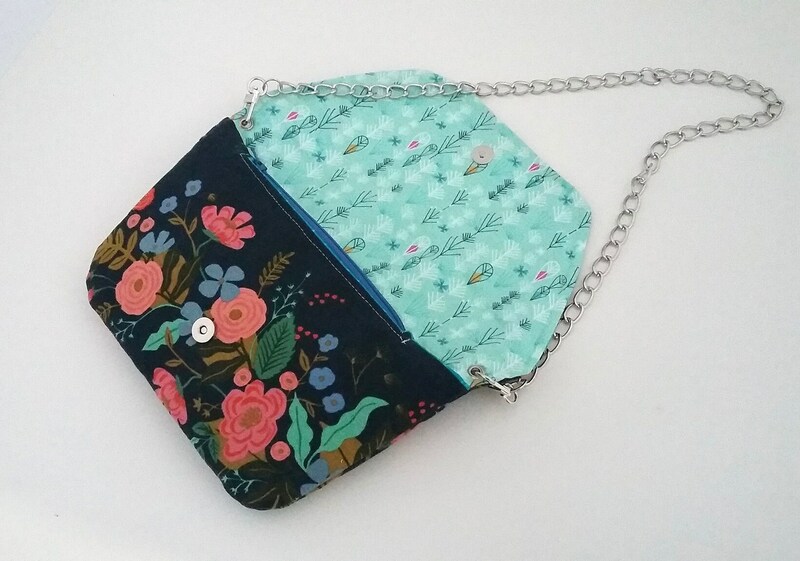 * SAMPLE * This bag is offered at a significantly reduced sample price as it is my prototype of the pattern. 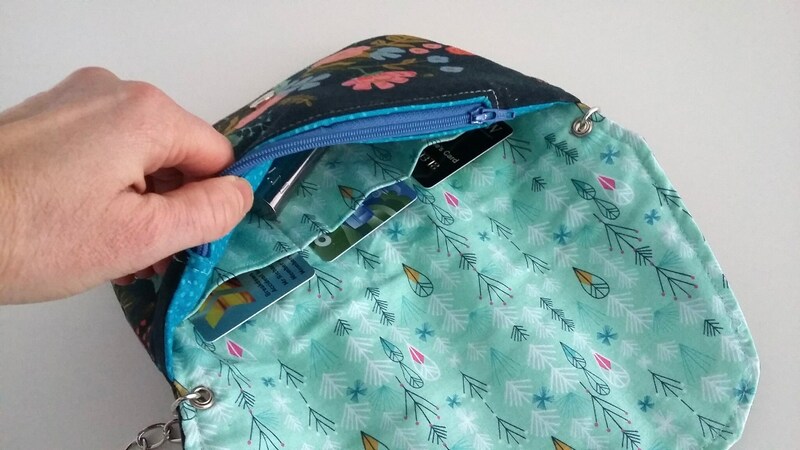 The flap edge is slightly uneven on the left corner, hence the reduced price, but otherwise the bag is perfectly sewn. 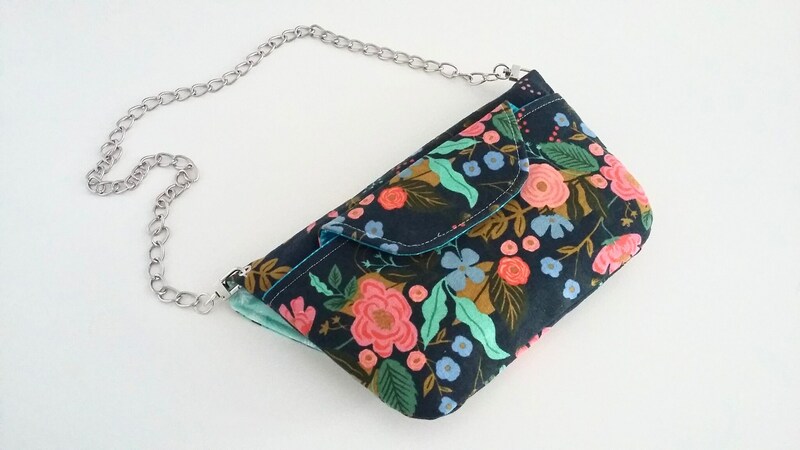 A pretty and versatile clutch purse in "Garden Vine" Rifle Paper Co canvas, lined in Minty trees and turquoise 'Twist' for the pockets. 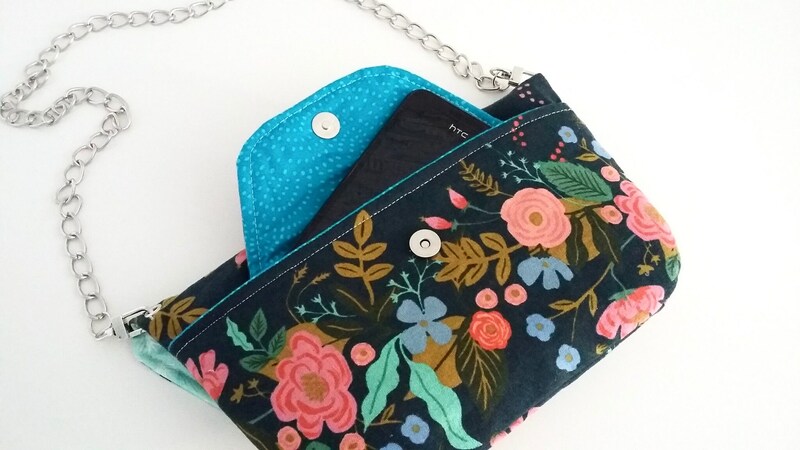 There is a slip pocket on the back for your phone, closing with a flap and magnetic snap. 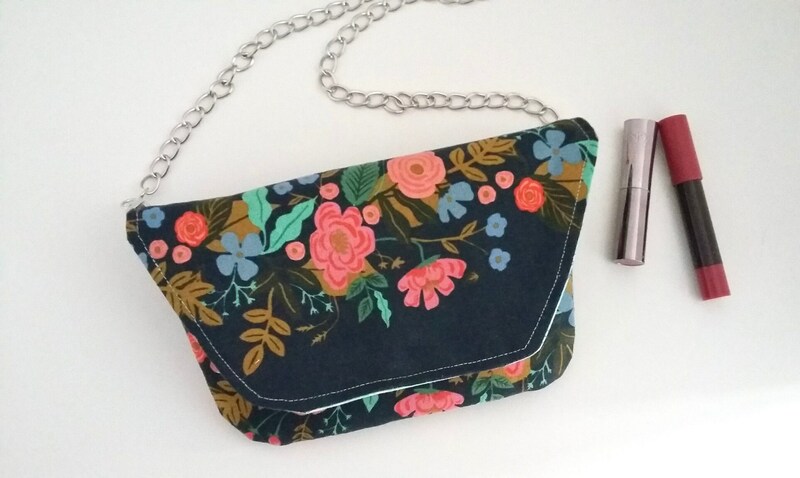 Inside there are three credit card sized slip pockets which could also be used for lippie and a zipped compartment ideal for storing money. 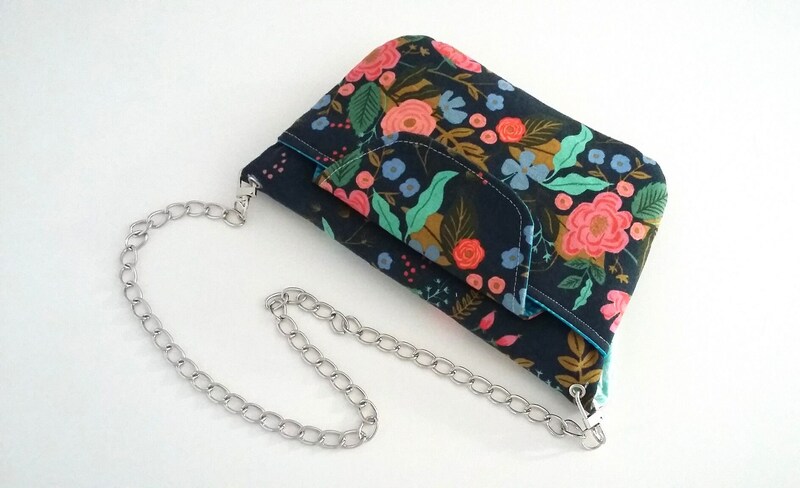 The clutch has a dainty chain strap attached on either side through eyelets. 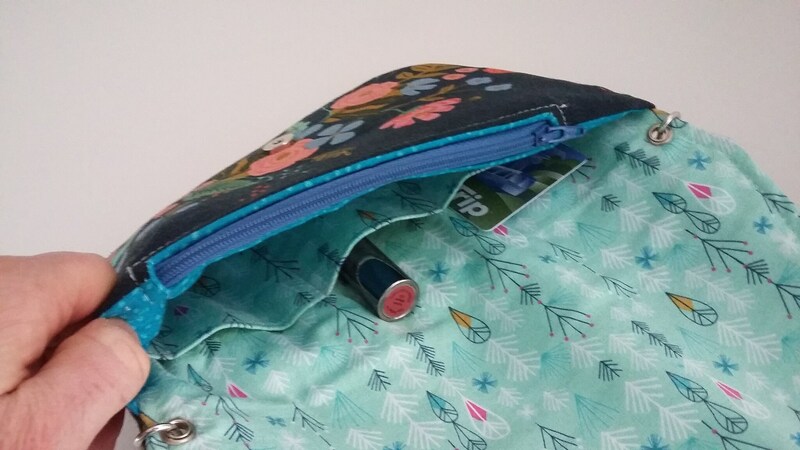 It closes with a magnetic snap. 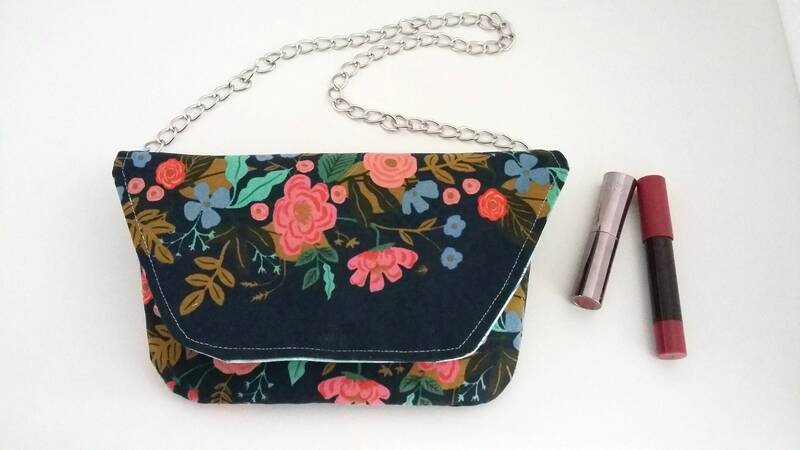 Pattern Credit: Convertible Clutch from Crimson Cuttlefish (on Etsy).